A groundbreaking new Android feature called seamless updates was announced at Google I/O 2016. No longer would we have to wait for updates to download and install — instead, they'd be applied silently in the background, and the new Android version would be waiting on us the next time we restarted our phones. That was over a year ago. 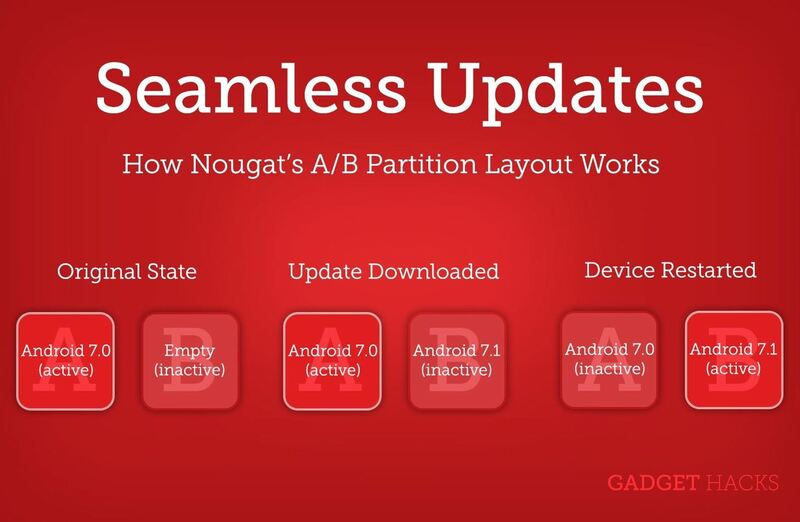 Since then, a full generation of flagship phones have been released — the LG V20, HTC U Ultra, LG G6, Galaxy S8, HTC U11, and more — but not a single one is using Nougat's new A/B partition layout for seamless updates. In fact, Google's own Pixel phones are still the only major phones to use the feature. So the obvious question here is why? To get to the bottom of it, let's first take a look at how seamless updates work. Until now, the process of applying an Android update has been extremely clunky. You'd receive an "Update Available" notification, tap it, press "Download," be informed that you needed to connect to Wi-Fi, connect to Wi-Fi, download the update, then receive another notification to install it. Even then, the phone would have to be connected to a power source while it rebooted to recovery mode and actually flashed the update. All in, you're talking 30 minutes to an hour to install an update, and nobody has time for that. Even disregarding that hurdle, many users would just ignore the update out of fear for the bugs and UI changes it might bring, leaving their systems dangerously exposed to malware and hacks. Seamless updates handle all of this silently and in the background. Instead of the old, convoluted process, you'd get a notification that says "Update installed. Restart required." The next time you restarted, you'd instantly be running the new Android version with all of the latest security patches. Can't get any easier, right? But to make all of this work, Nougat requires something known as an A/B partition layout. Picture this like a second hard drive that your phone can boot from — except the hard drives aren't physical, they're virtual partitions. When you take a new phone out of its box, the operating system is installed on the first hard drive (partition "A"). When an update becomes available, it gets downloaded and installed to the second hard drive (partition "B"). The next time you restart your phone, it simply boots off of the "B" partition instead, which means you're now running the new Android update. When another update comes through, it's written to the original "A" partition, and the process repeats itself. This all happens instantly and seamlessly. If seamless updates are considerably more user-friendly and so much better for security, then why aren't manufacturers using them? Bottom line, the issue comes down to storage space. You see, phones really only have one "hard drive," and it's simply partitioned to create separate spaces for all of the components that make up Android. This includes the storage partition where users can save files like photos, videos, and MP3s. The extra partition required for seamless updates takes away from the available built-in storage space on any phone. Take the 32-gigabyte Pixel, for example. Of those 32 gigabytes, the Android operating system takes up roughly 2.7 gigabytes. But since the A/B layout requires room for two whole copies of the Android OS (one for the older version and one for the newer), it's now taking 5.4 gigs off the top of the original 32, leaving you with only 26.6 gigabytes to store files. But the Pixel is one of the least bloated phones on the market. Devices with heavy manufacturer skins, like Samsung's Galaxy S series, would have even less available space if they used the A/B layout for seamless updates. For instance, the Galaxy S8's operating system takes up 10.7 gigabytes, and that's just one instance of it. If Samsung had to reserve space for a second set of system files with the A/B layout for seamless updates, that would take up a whopping 21.4 gigabytes. Using a 32-gigabyte storage setup as an example, that would only leave 11.6 gigs for the user. Ultimately, it all comes down to the fact that manufacturers add layers of bloat on top of stock Android, so doubling it up to accommodate seamless updates would simply take up too much storage space. 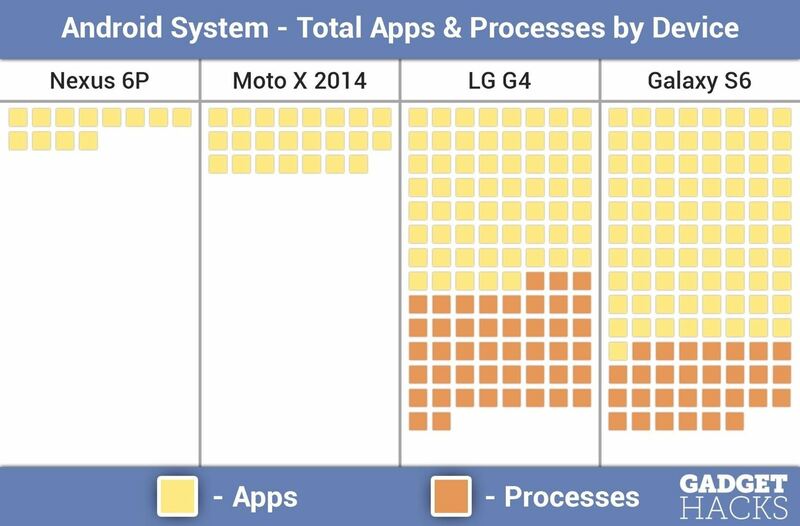 If you're keeping track, this means OEM skins can be blamed for slower updates, performance issues, most of Android's bloatware problem, and now, the lack of seamless updates. So remind me again — why do we keep putting up with this?